Professor McGurk undertook his undergraduate BDS degree at Sheffield University in 1976. This was followed by 3 years of junior surgical posts in oral and maxillofacial followed by a six month period visiting maxillofacial units in the United States. He returned to Sheffield to complete a medical degree in 1984. 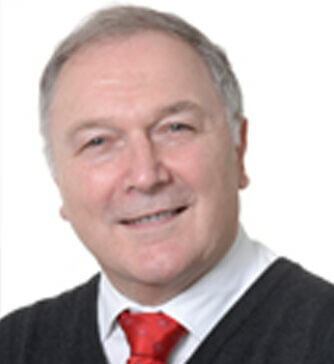 He was appointed consultant oral and maxillofacial surgeon to Queen’s Medical Centre, Nottingham in 1991, and in 1992 professor of oral and maxillofacial surgery at King’s College London - Guy’s and Thomas’ Hospitals Foundation Trust. He moved to University College Hospital in September 2016. He is part of the North London Head and Neck Cancer Group and provides a highly specialist service in oral/head and neck cancer, reconstruction and salivary gland disease. Professor McGurk’s clinical practice has centred on oral/head and neck cancer surgery and the minimally invasive management of salivary gland disease. His research has focused on early diagnosis of head and neck cancer, factors leading to complications of surgery and the introduction of minimal surgery to the treatment of head and neck cancer. He has championed minimally invasive surgery for benign parotid tumours and obstructive salivary gland disorders (tumours, stones, ranulae, strictures). He has written two influential books on salivary disease and his work has helped to change the practice of salivary gland surgery away from excision to gland preservation surgery (http://www.salivary-gland.co.uk/index.htm). He has also led a European trial on sentinel node biopsy which has led to a 75% reduction in neck dissection for early mouth cancers. He has pioneered a new way to treat odontogenic tumours (ameloblastoma). These tend to occur in young individuals and instead of resecting part of the jaw these tumours can be removed by a minimally invasive technique which preserves the mandible and maintains normal facial appearance. Professor McGurk lectures widely at national and international conferences and runs annual masterclasses on salivary gland surgery in London, Paris and Erlangen for maxillofacial and ENT consultants. He is past president of the British Association of Oral and Maxillofacial Surgeons and past editor of the British Journal of Oral and Maxillofacial Surgery. He examines at the Royal College of Surgeons of Ireland. He has been a board member of Dental Protection Ltd, and chairman of the High Claims Committee. He is the lead surgeon and board member of Project Harar Charity (projectharar.org). Oral and Maxillofacial Surgery encompasses the diagnosis and treatment of diseases, traumatic injuries, and developmental or genetic deformities of the face, mouth, dentition, jaws and neck.